This week we will take a look at a Christian citizen’s responsibility in a democracy…or a constitutional republic such as is the United States. In such a society a significant portion of the ruling power of government is entrusted to the citizens generally through the ballot box. To be able to vote is to have a share of the ruling power. Therefore all citizens who are old enough to vote have a responsibility before God to know what God expects of civil government and what kind of moral and legal standards He wants government to follow. How can citizens learn what kind of government God is seeking? Probably the most primary source is if churches teach about government and politics from the Bible. Many pastors will differ in the degree of detail they wish to teach with regard to specific political issues facing the nation…i.e. abortion, euthanasia, care for the poor, military and national defense, use and care of the environment, nature of marriage, etc. Surely it is the responsibility of pastors to teach on some of these specific policies in ways that go beyond the mere statement, “You all have the responsibility to vote intelligently”. Who else is going to teach Christians about exactly how the Bible applies to specific political issues? Would pastors think it is right to leave their congregations with such vague guidance in other areas of life? Would the congregation be told it is the responsibility of parents to bring up children according to Christian principles and never have explained to them what those principles are? What about Christian principles in the business world? No, the responsibility of pastors is to give wise Biblical teaching, explaining exactly how the teachings of the Bible apply to various specific situations in life, and that should certainly include instruction about some policy matters in government and politics. There are several Christian based organizations that research candidates and political issues and provide voter guides to help Christian voters understand the officers, policies, and implications that are involved with each election and provide a valuable help to both pastors and members of the congregations. Every Christian citizen who lives in the United States has at the very least a minimal obligation to be well-informed and to vote for candidates and policies that are most consistent with Biblical principles. The opportunity to help select the kind of government we will have is a stewardship that God entrust to citizens in a democracy. 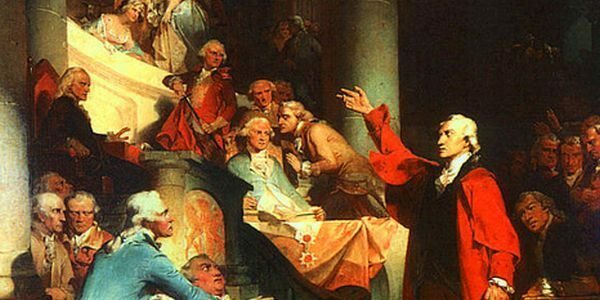 While our founders did not want a ‘democracy’…they believed it would lead to ‘mob rule’…they did know that with a Judeo/Christian principle based society that the likelihood of that happening was lessened. That is why they chose a constitutional republic form of government. It is a stewardship that we should not neglect or fail to appreciate. That means at least that Christians are responsible to learn enough about important issues to be able to vote intelligently. One good way to become better informed is to discuss some key political issues in a church small group including quotations of key Bible passages and statements from well known political leaders of the past and present. Do the rest of us who receive such great benefits from these sacrifices not have an obligation to do something more than merely voting? Should we not participate at least at some level: giving money or time to support specific candidates and issues; writing letters or helping distribute literature; running for office; volunteering to serve in the military? Is it not right that all of us at least do something more than merely voting to preserve and protect this nation? Next week we will look at Biblical principles concerning the government. If God gave us government…and I believe He did…then it is our responsibility to know what is expected of that government in accordance with the word of God. After all, we are looking to restoring government and need to know what God wanted it to look like. He was the designer; we are His builders.